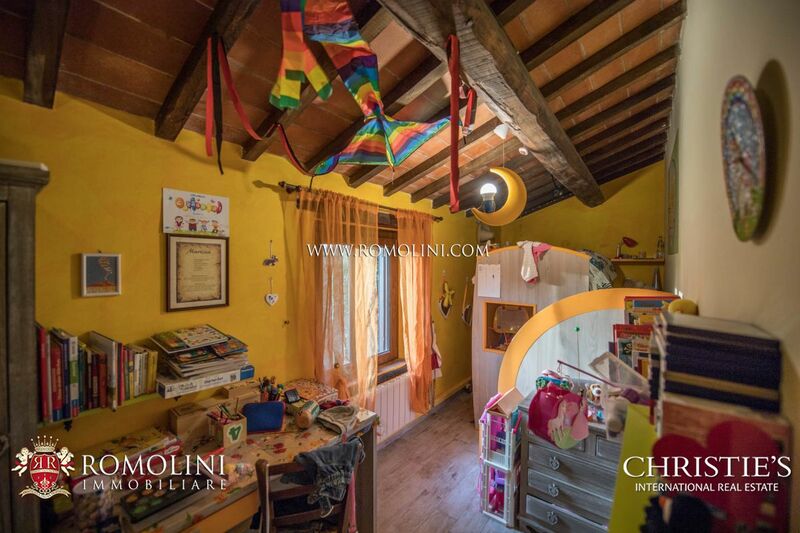 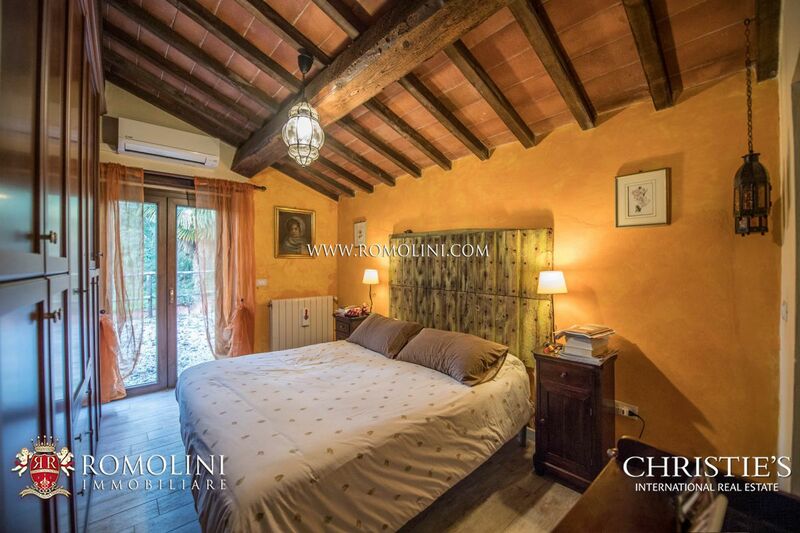 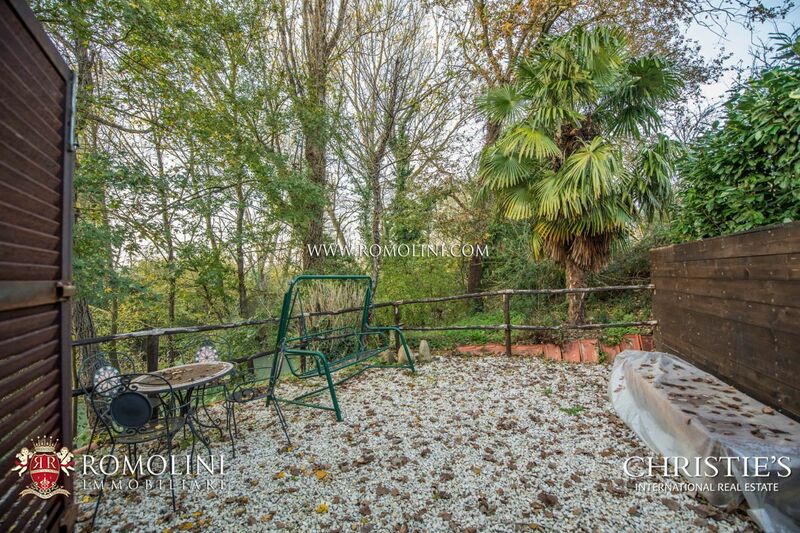 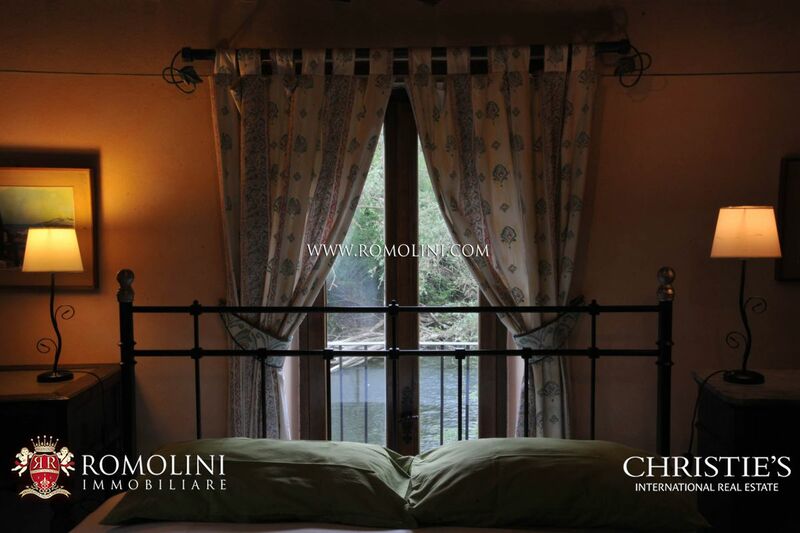 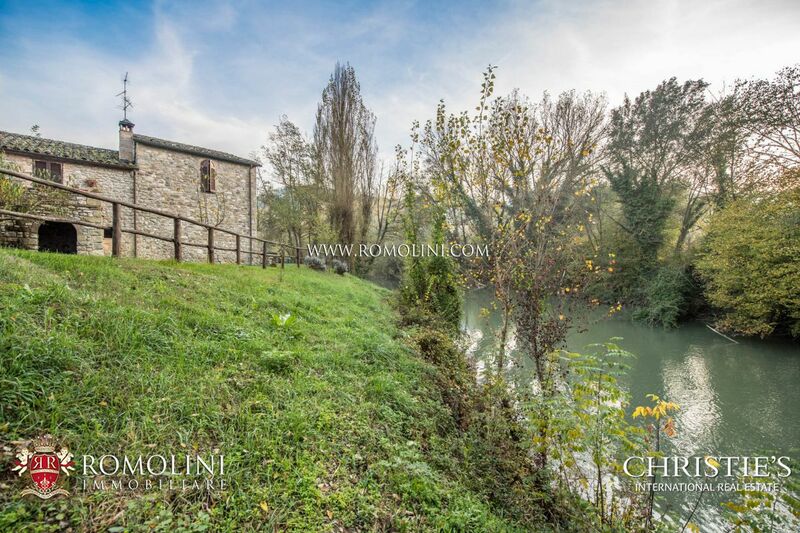 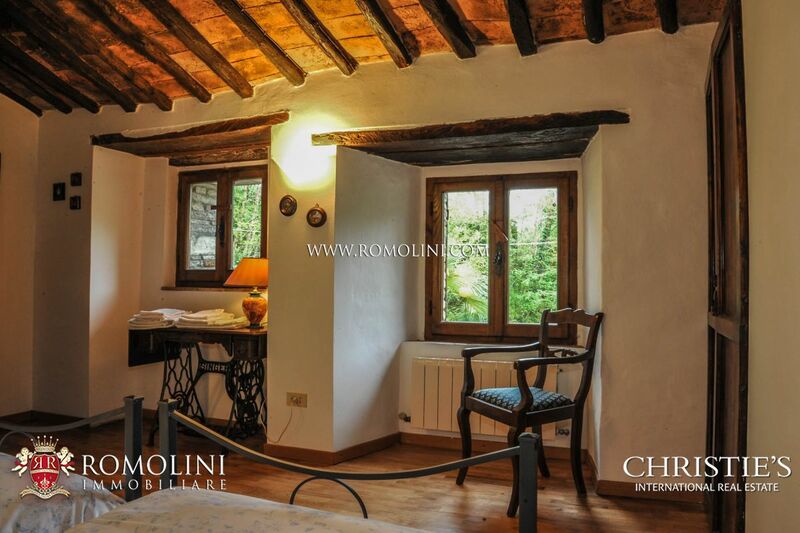 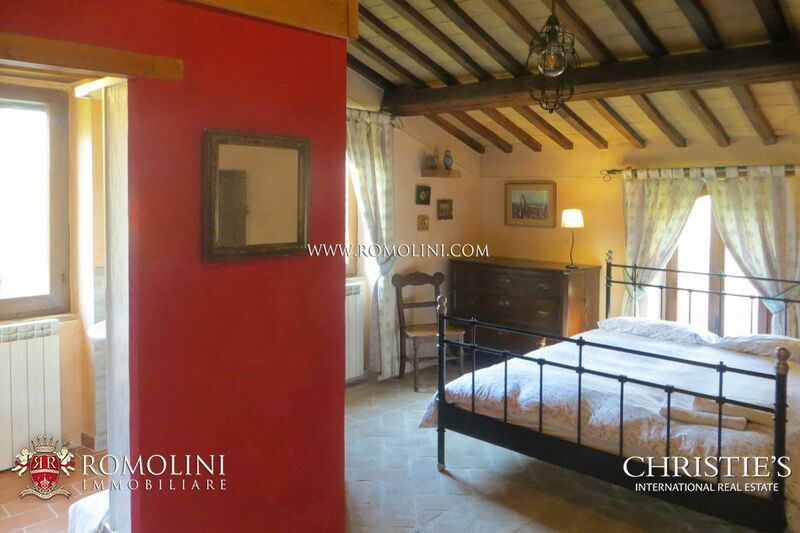 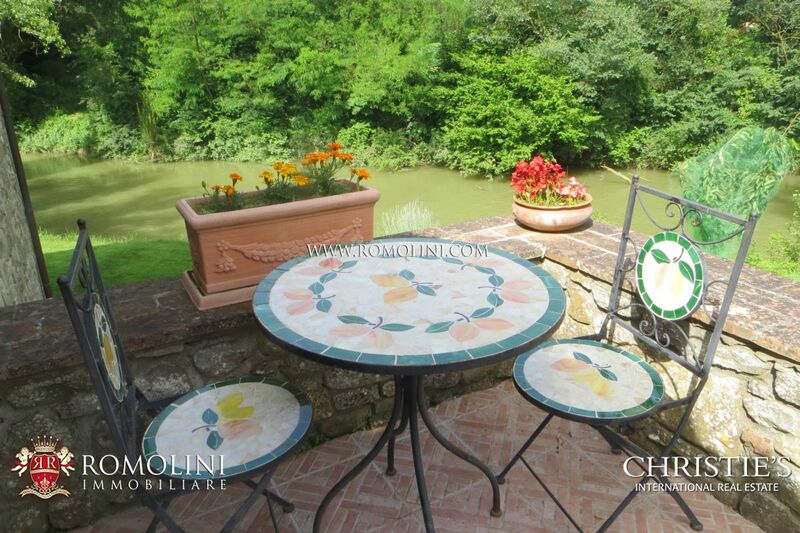 Along the Tiber river, not far from the town of Umbertide, old restored 15th-century mill with guesthouse, garden and swimming pool. 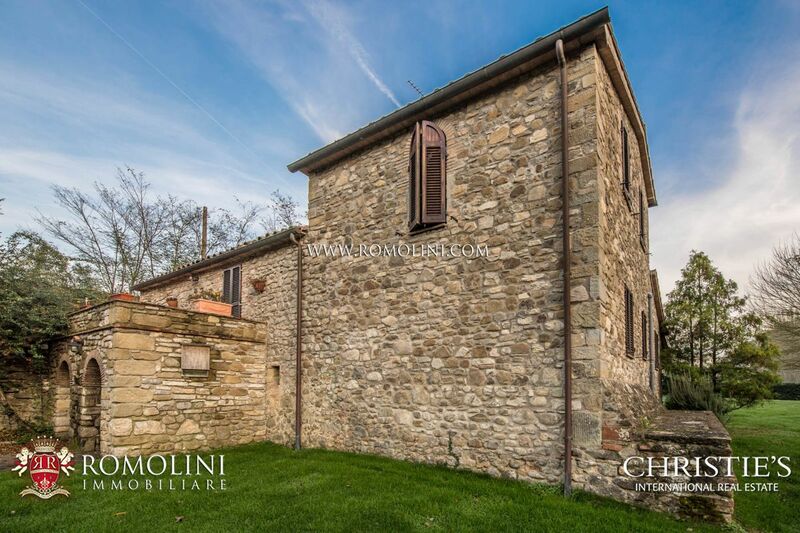 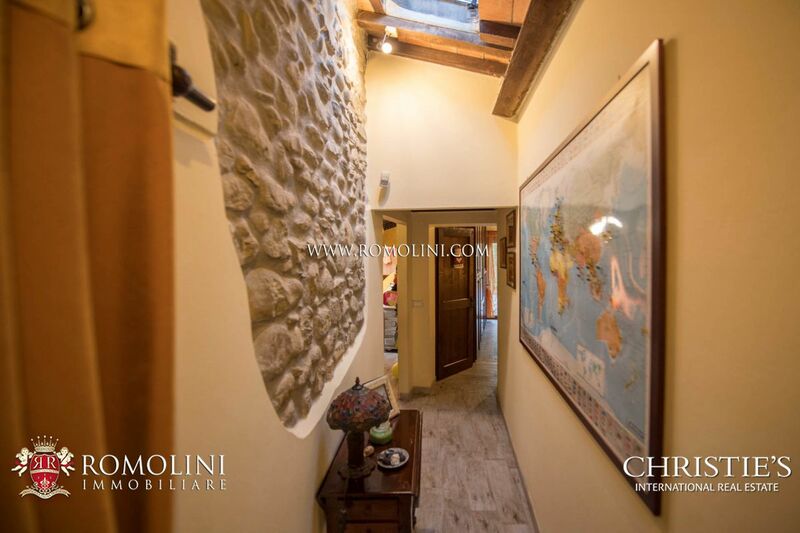 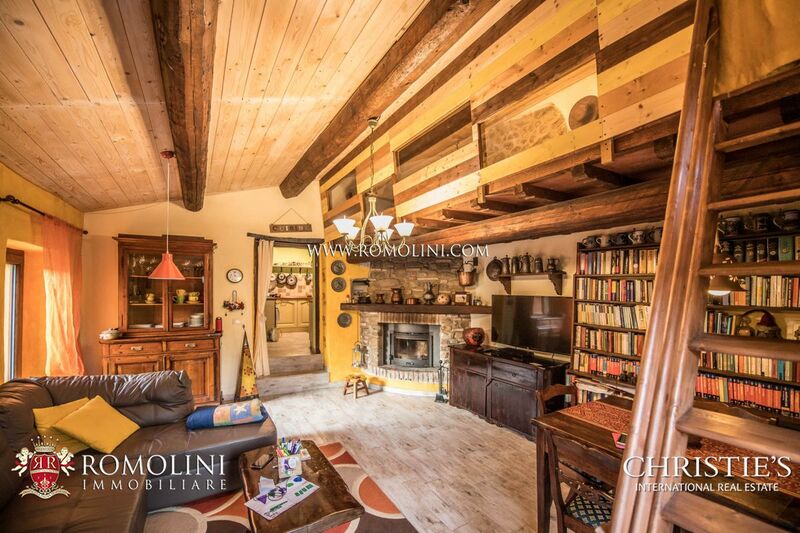 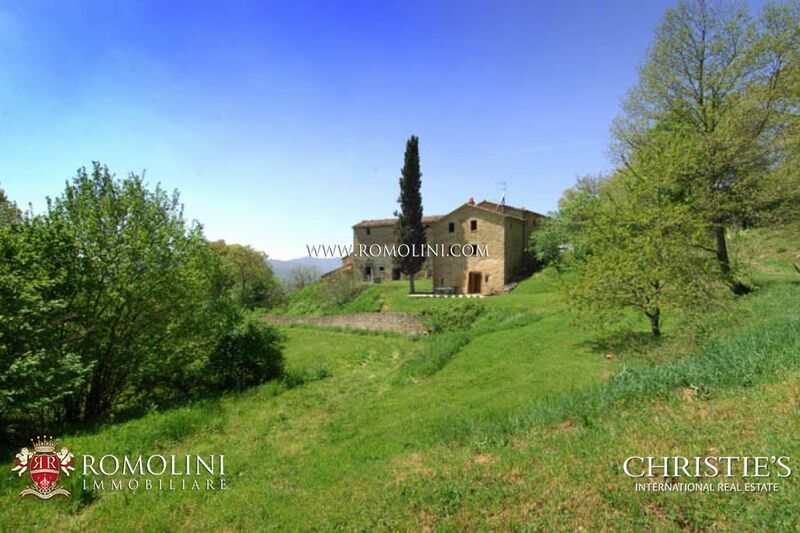 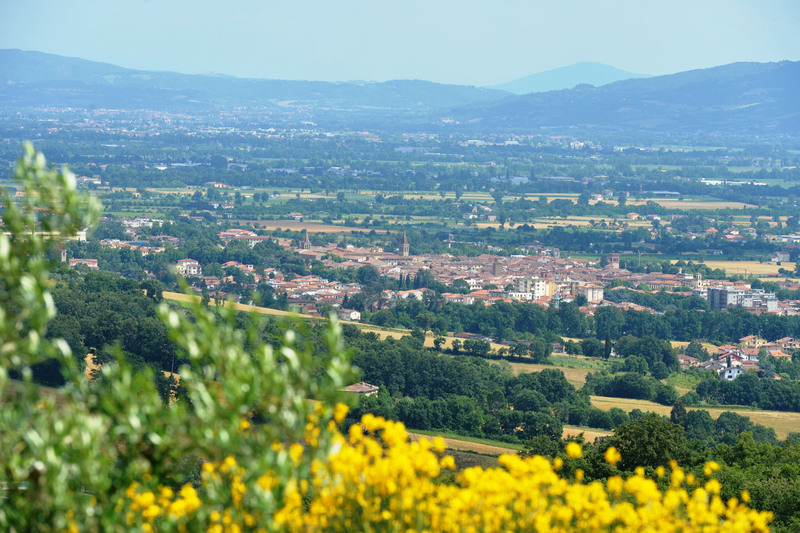 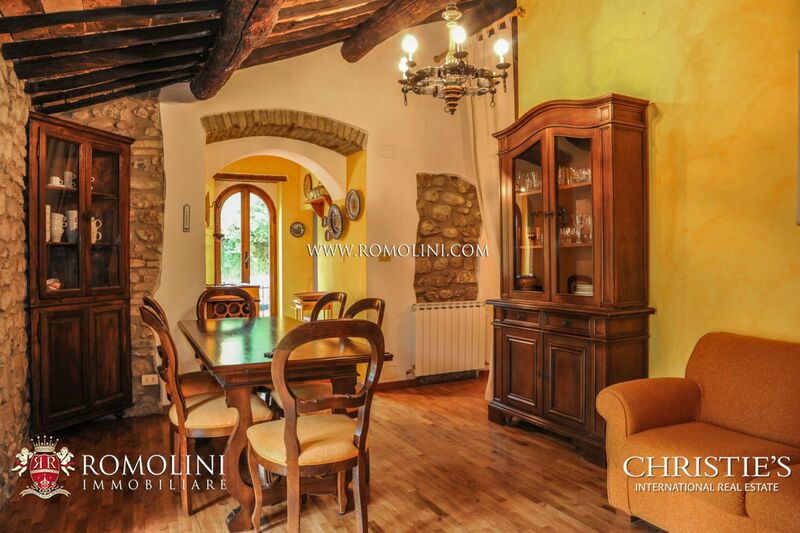 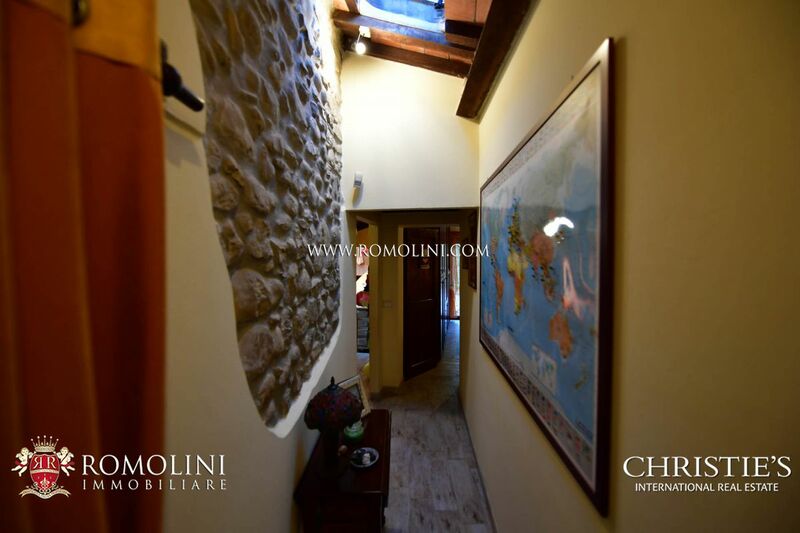 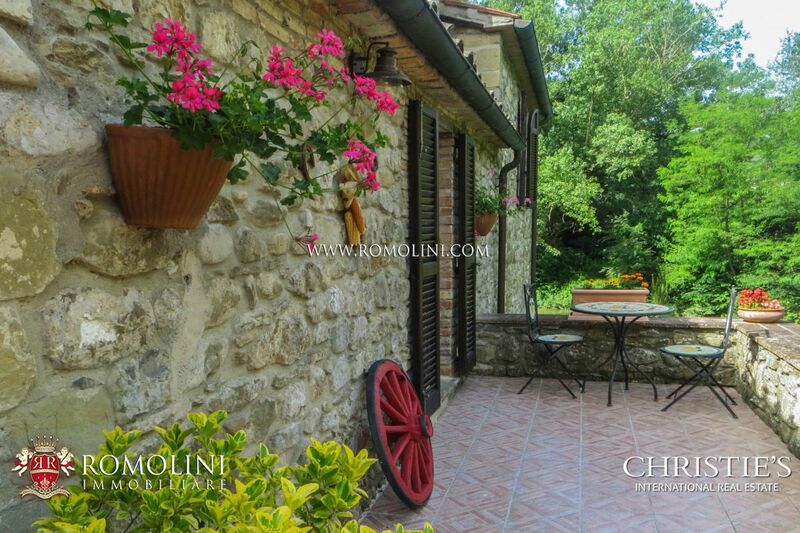 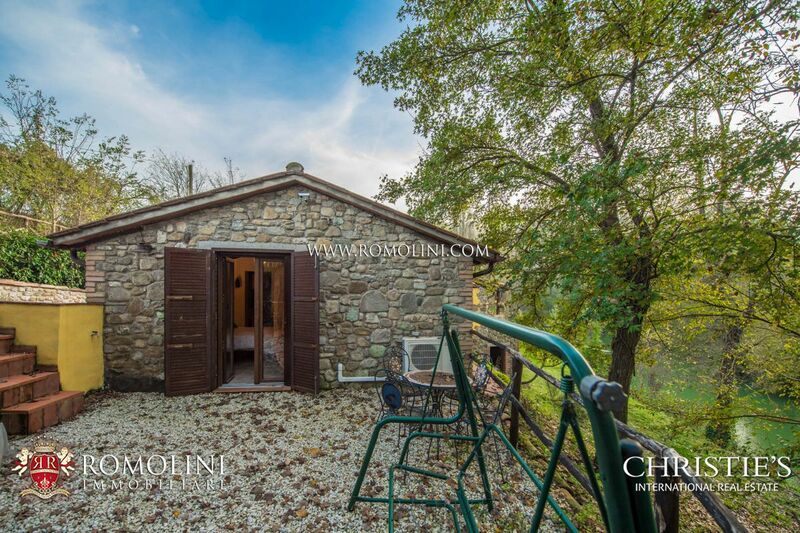 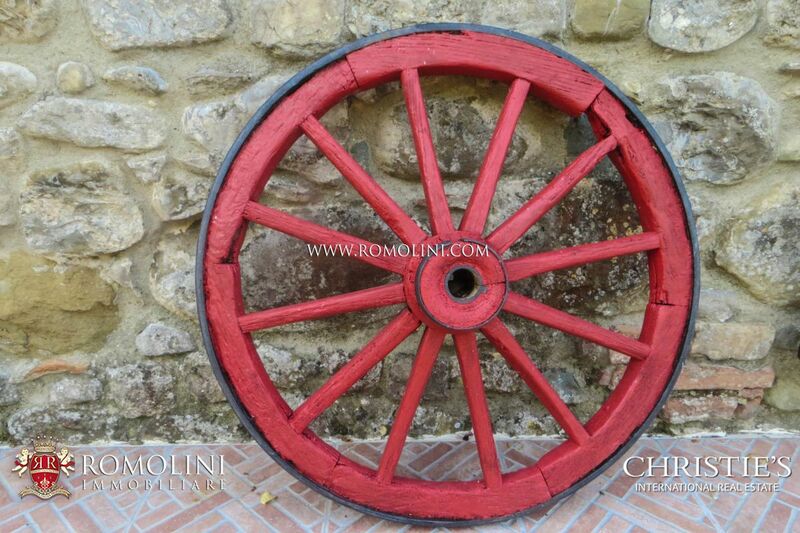 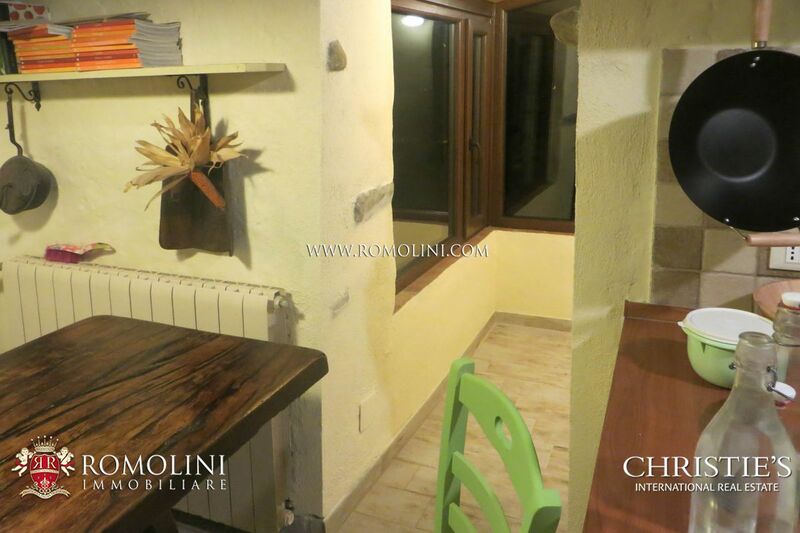 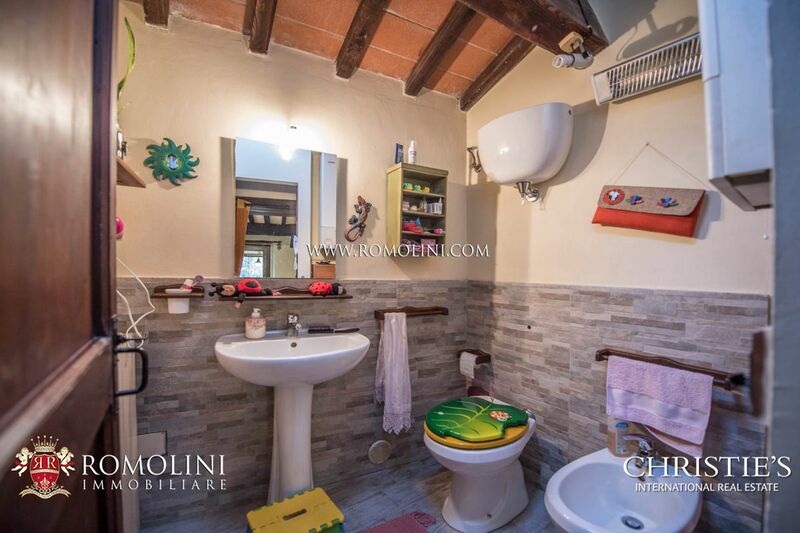 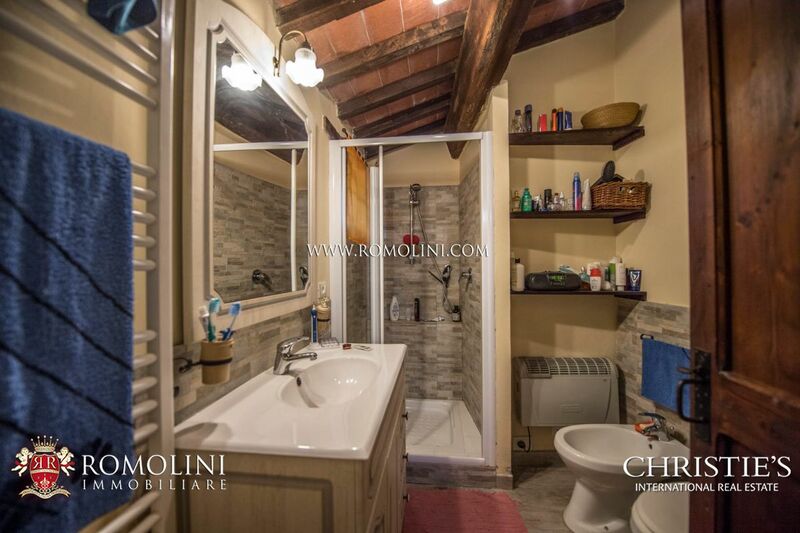 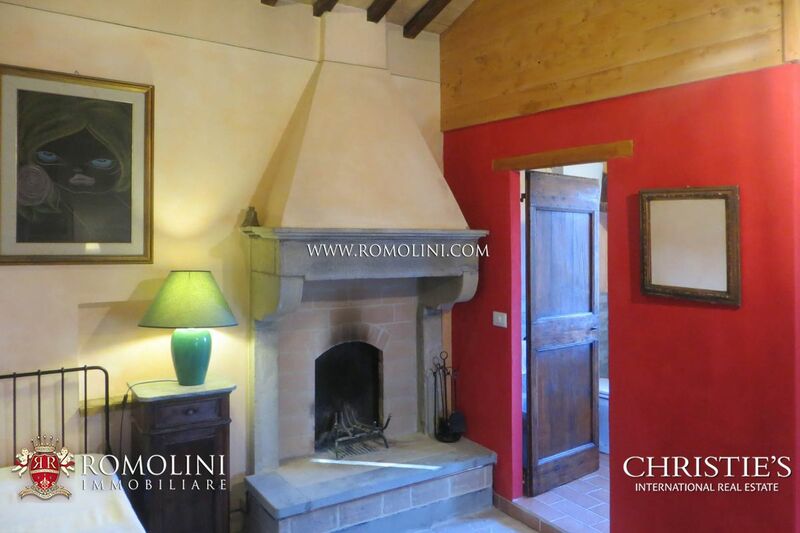 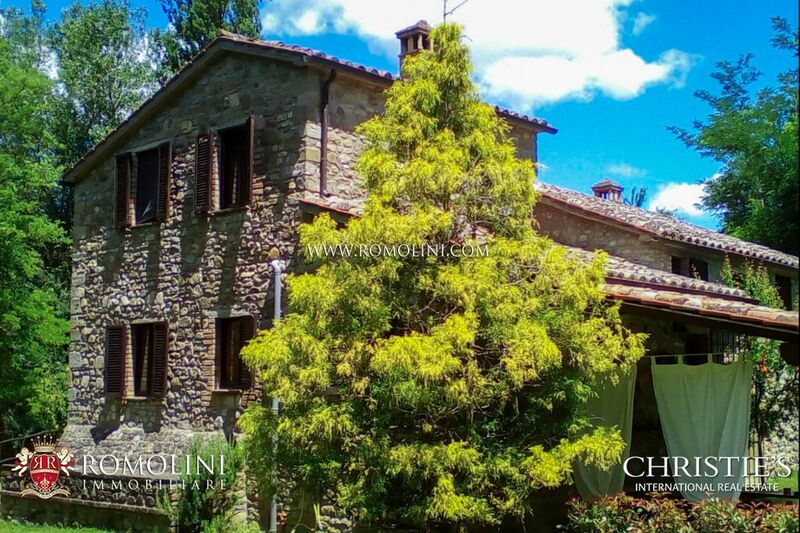 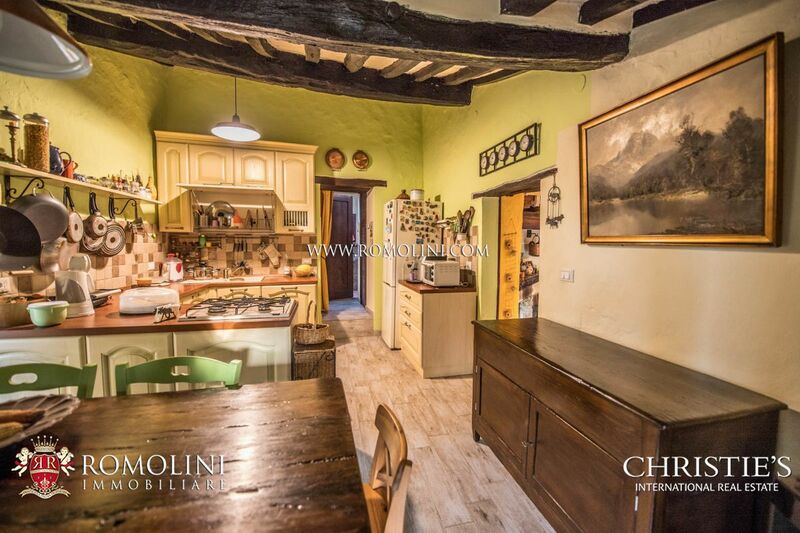 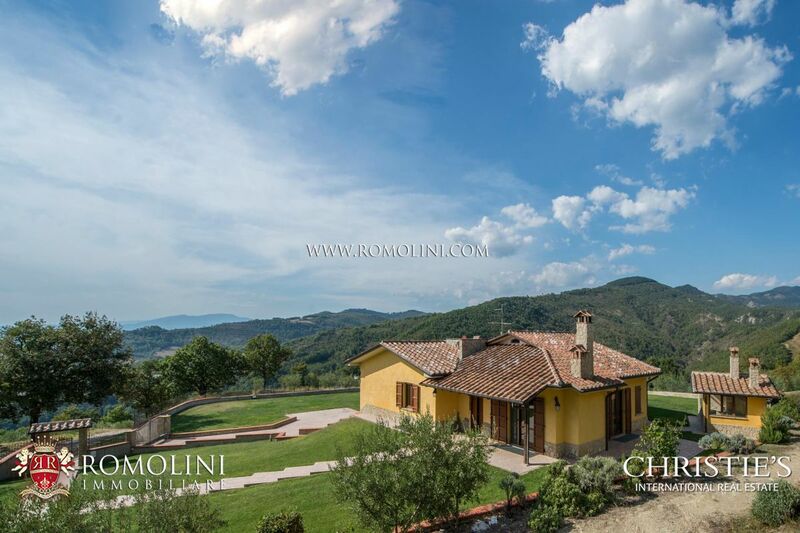 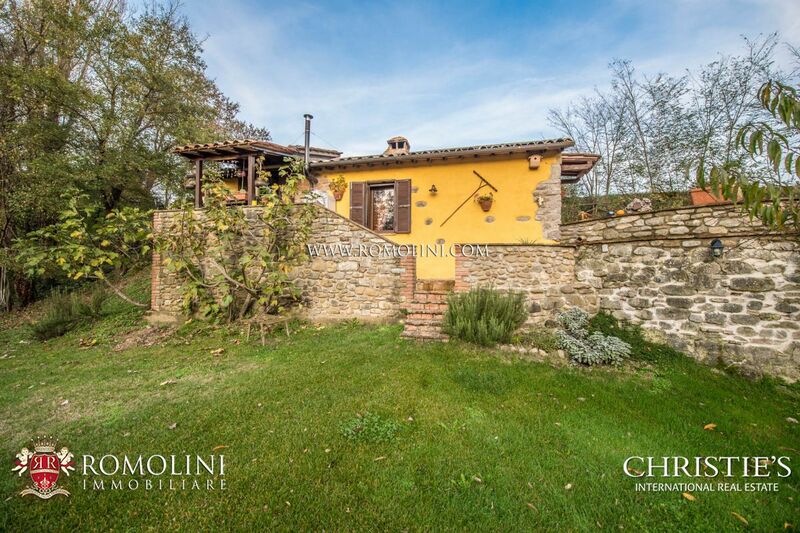 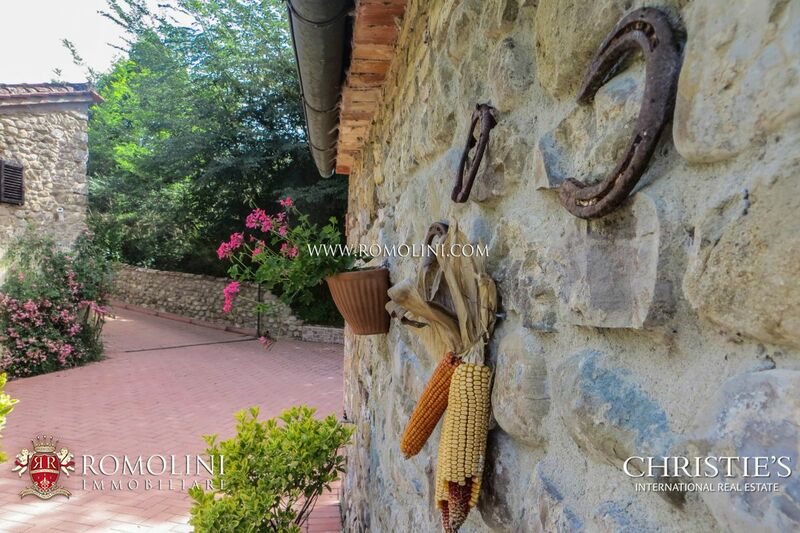 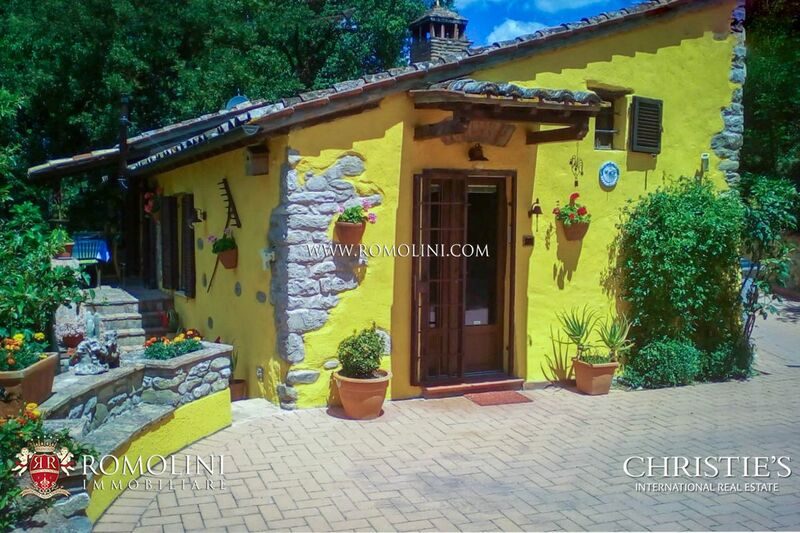 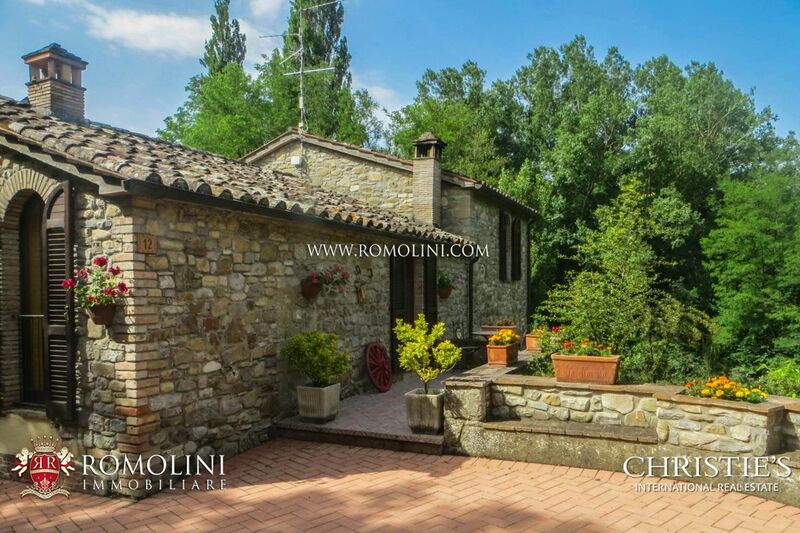 Easily reached and in a quiet location, the farmhouse is provided with all the services by the nearby town (1km; 2’) and allows quickly moving throughout Umbria: Umbertide (7km; 10’), the roman town of Città di Castello (17km; 15’), Monte Santa Maria Tiberina (22km; 30’), Passignano sul Trasimeno (35km; 45’), the medieval town of Gubbio (40km; 40’), the Etruscan cities of Cortona (40km; 50’) and Perugia (44km; 40’), the Franciscan shrine of Assisi (57km; 50’) and Deruta with its multicolored ceramics (58km; 50’). 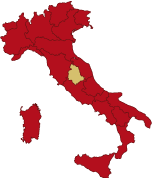 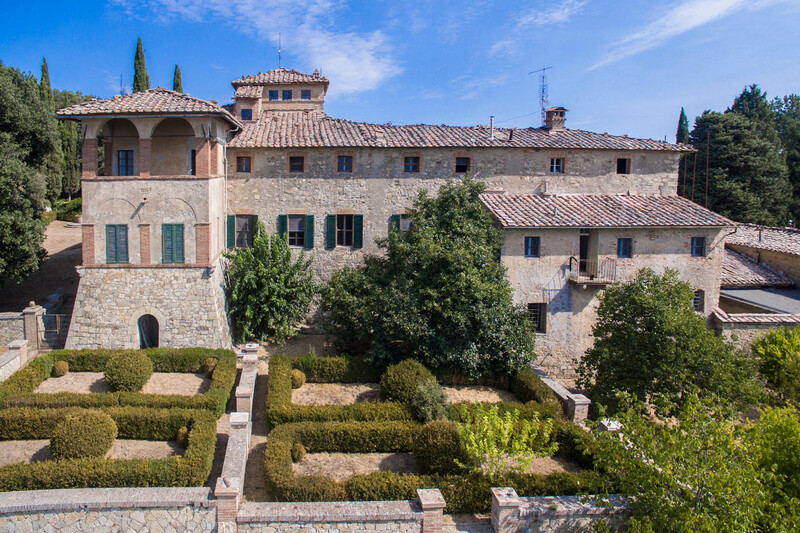 The most convenient airports to reach the property are Perugia Sant’Egidio (42km; 35’), Firenze Peretola (148km; 1h 55’), Ancona (151km; 2h 15’), Bologna Marconi (205km; 2h 15’), Pisa Galilei (208km; 2h 35’), Roma Ciampino (227km; 2h 40’), Roma Fiumicino (242km; 2h 45’) and Milano Linate (410km; 4h 10’). 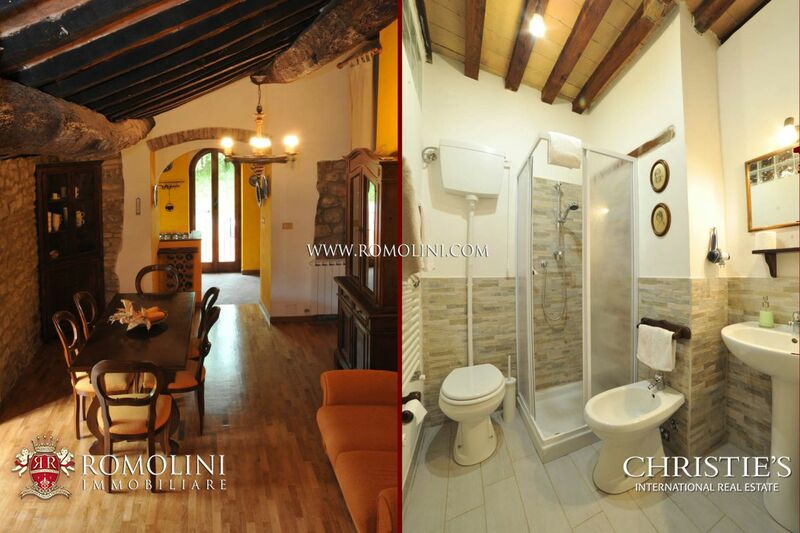 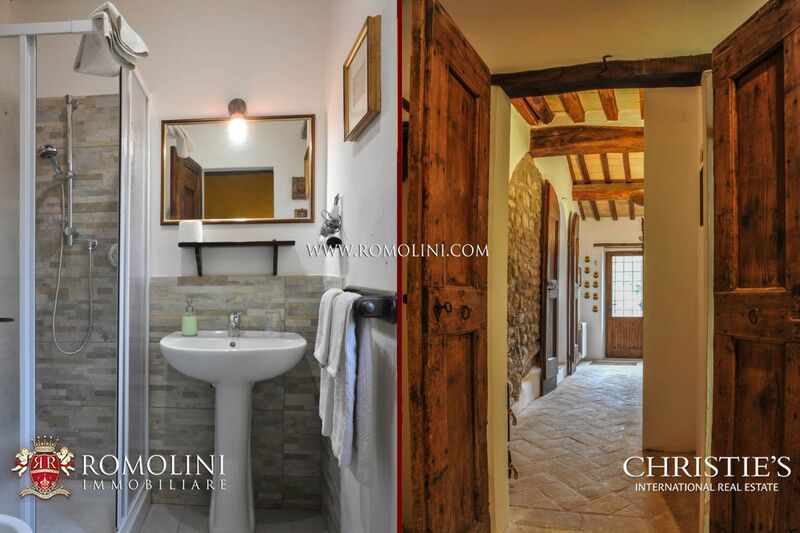 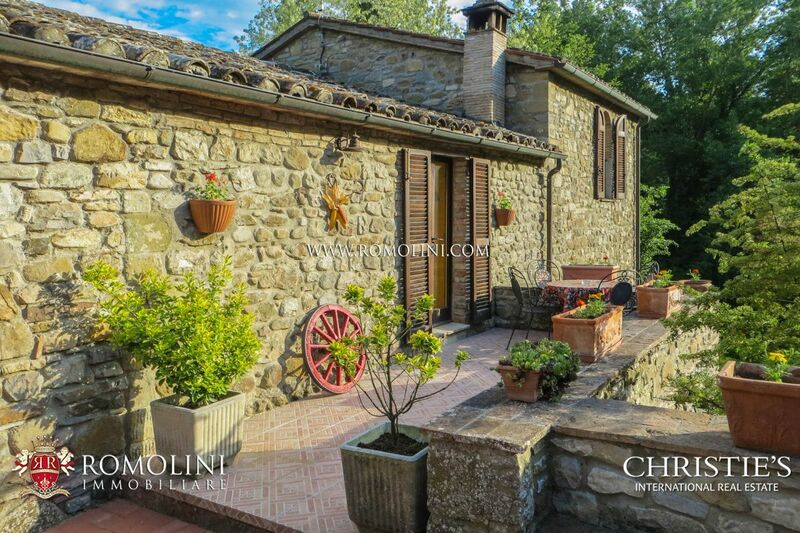 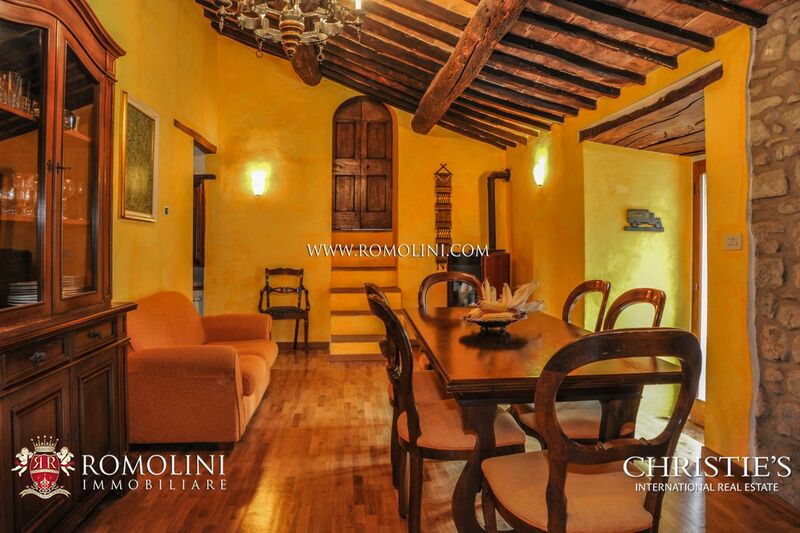 The main farmhouse (130 sqm – 1,399 sqft, 4 bedrooms and 4 bathrooms) is the result of the renovation of a 15th-century mill. 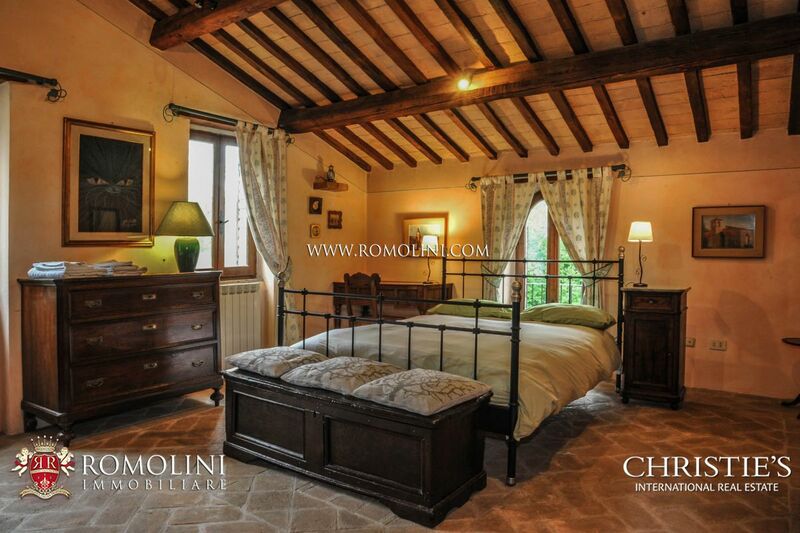 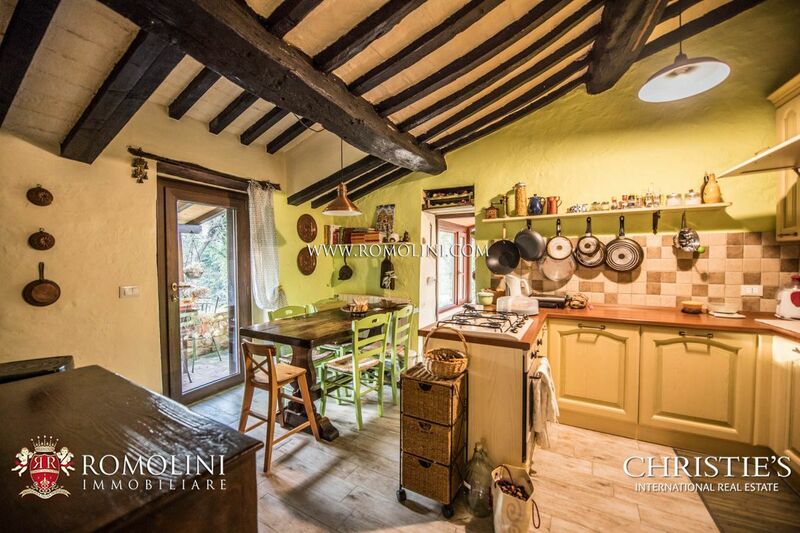 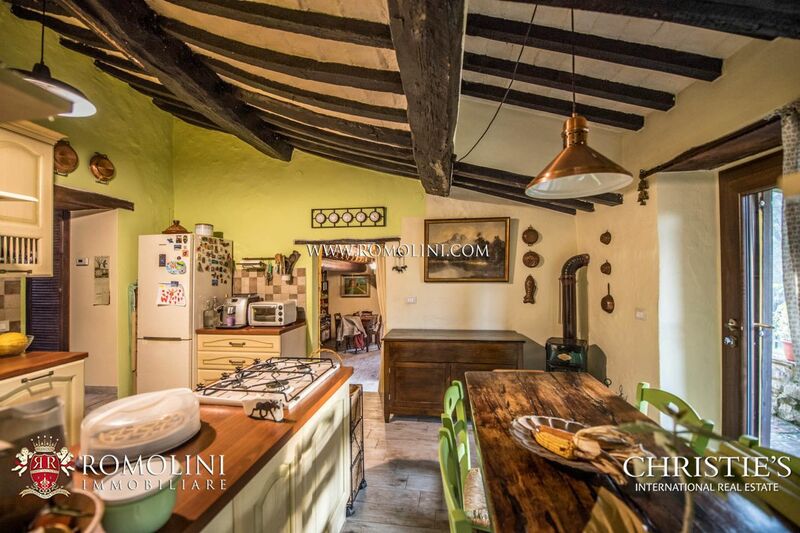 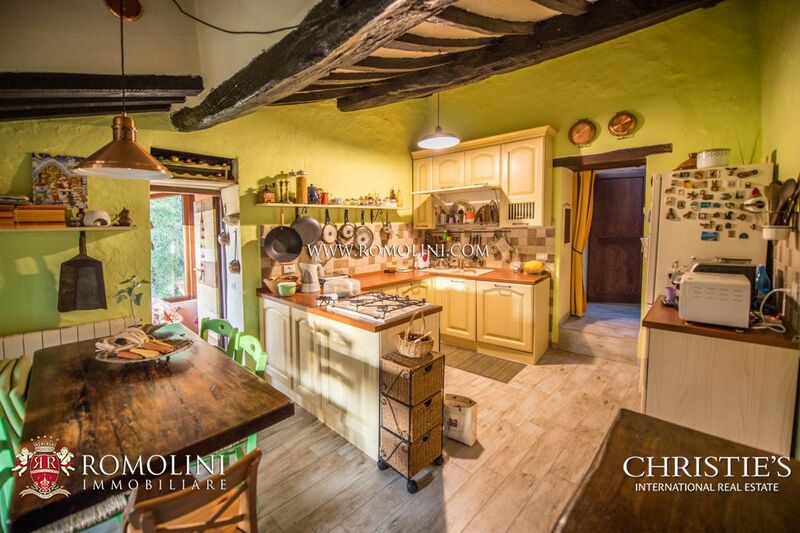 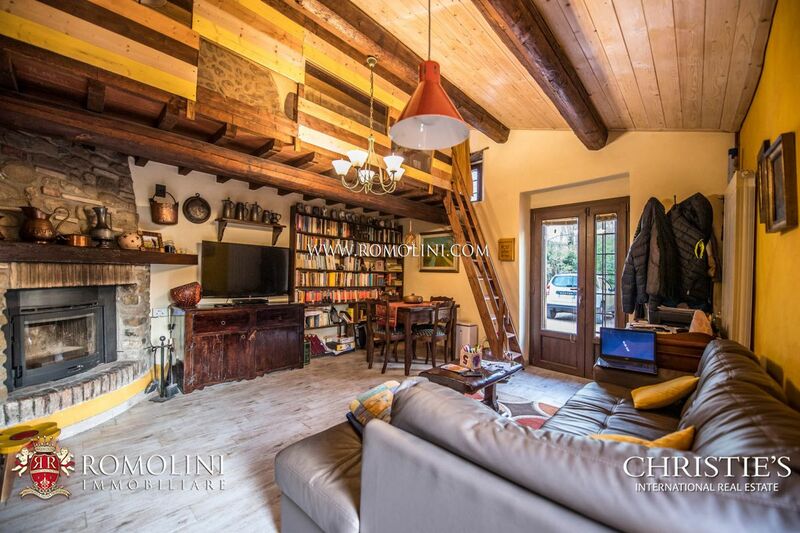 Laid out onto three floors, the farmhouse boasts all the typical traits of historic buildings of the Umbrian and Tuscan countryside, such as chestnut wooden beams, terracotta floors and stone walls. 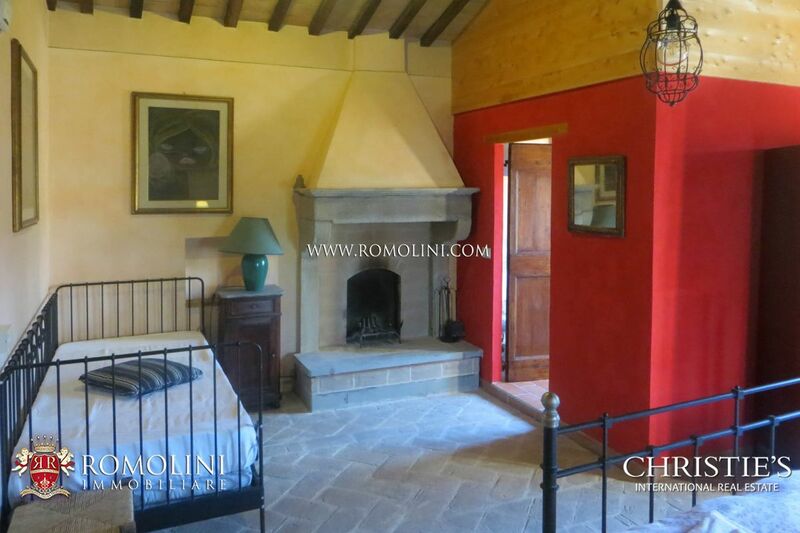 - Mezzanine floor: bedroom with en-suite bathroom. 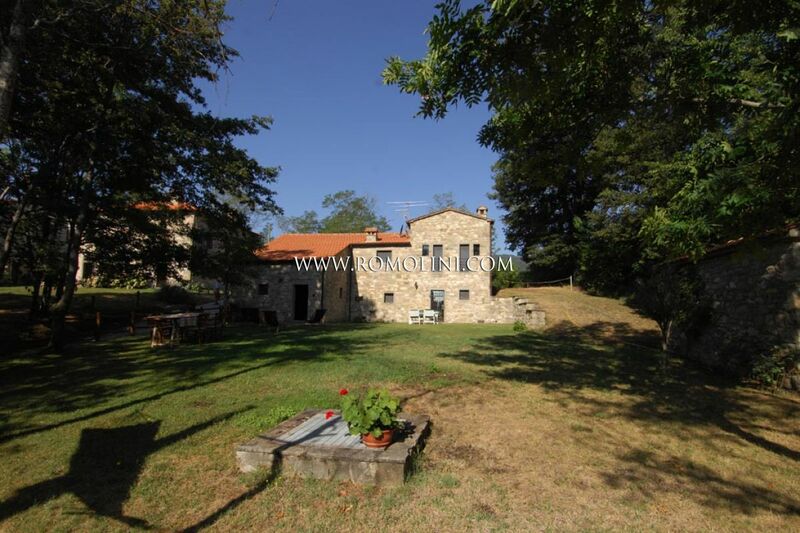 The second building is located near the farmhouse, and can be reached by crossing a paved apron usable as a parking space. 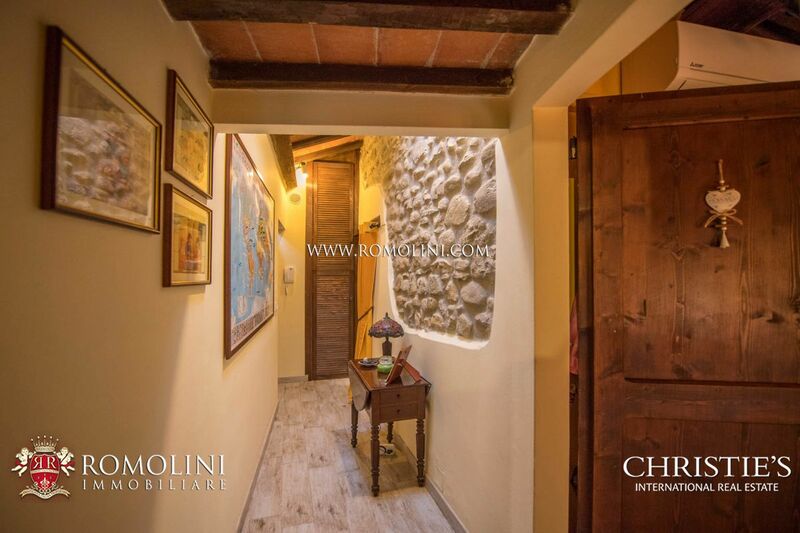 The guesthouse (80 sqm – 861 sqft, 2 bedrooms and 2 bathrooms) is laid on a single floor instead and is made up of living room with gallery, habitable kitchen, guest bathroom with shower and two bedrooms (one with en-suite bathroom). 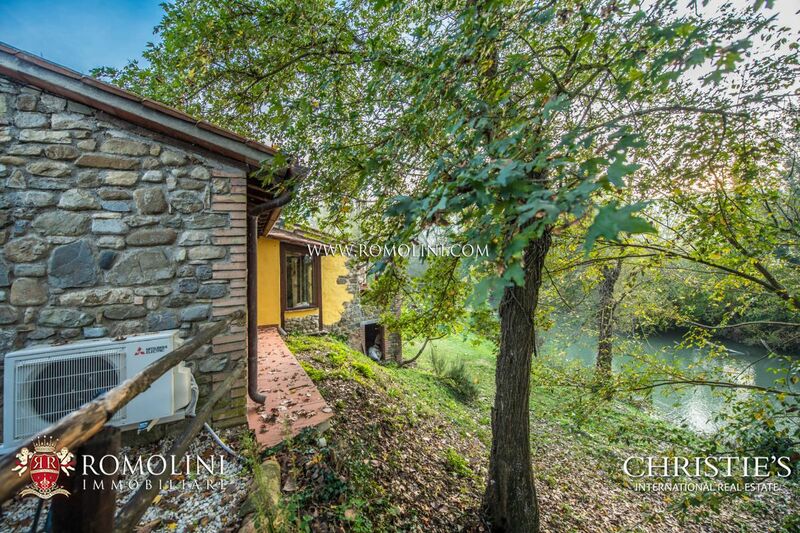 The roof the of the building hosts a convenient photovoltaic system and the house is equipped with an alarm system. 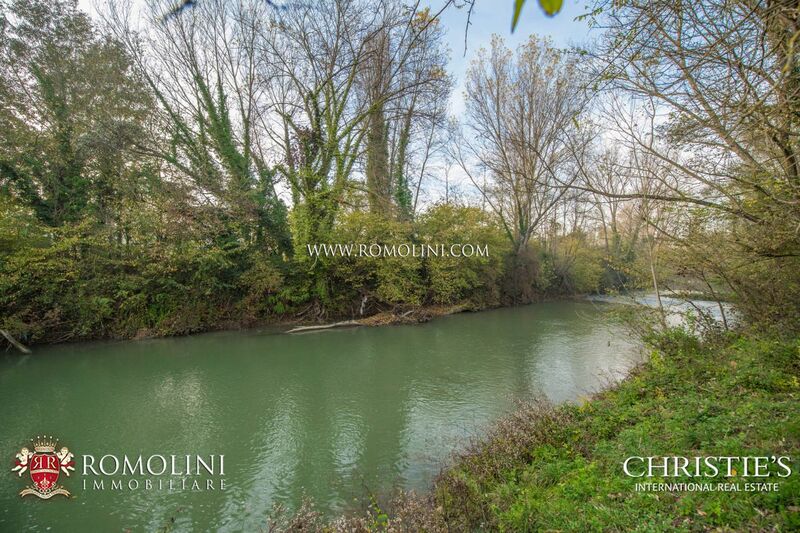 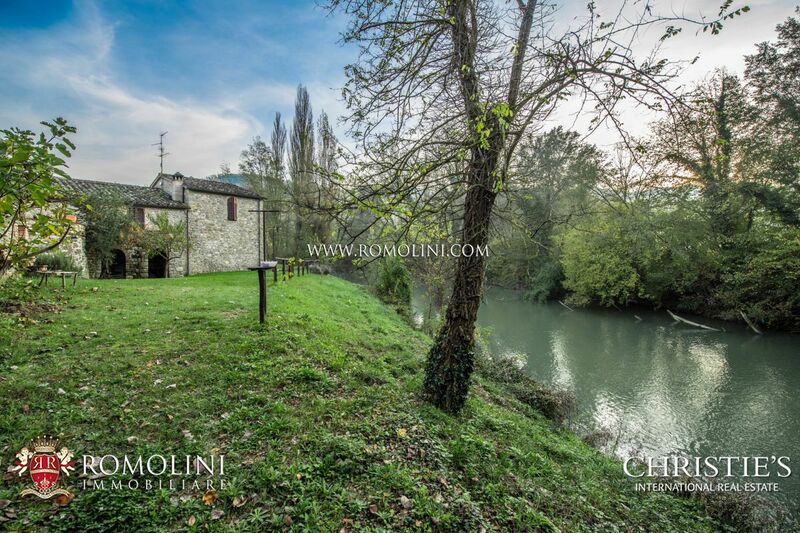 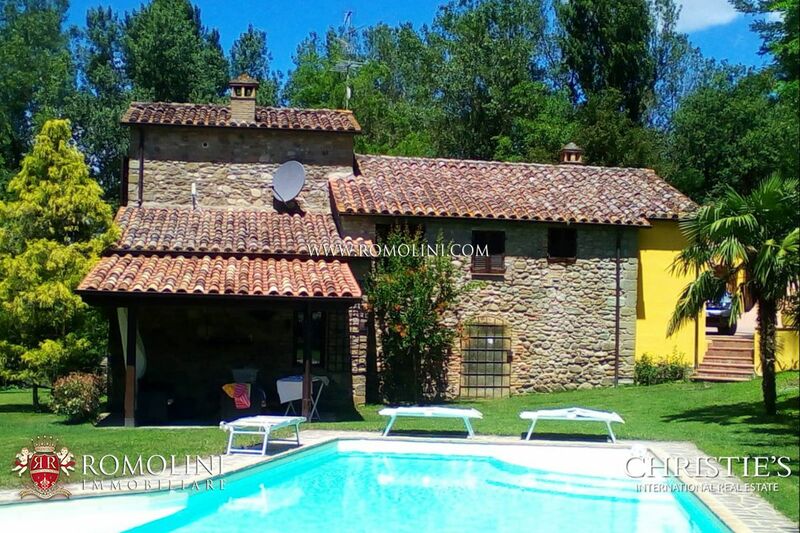 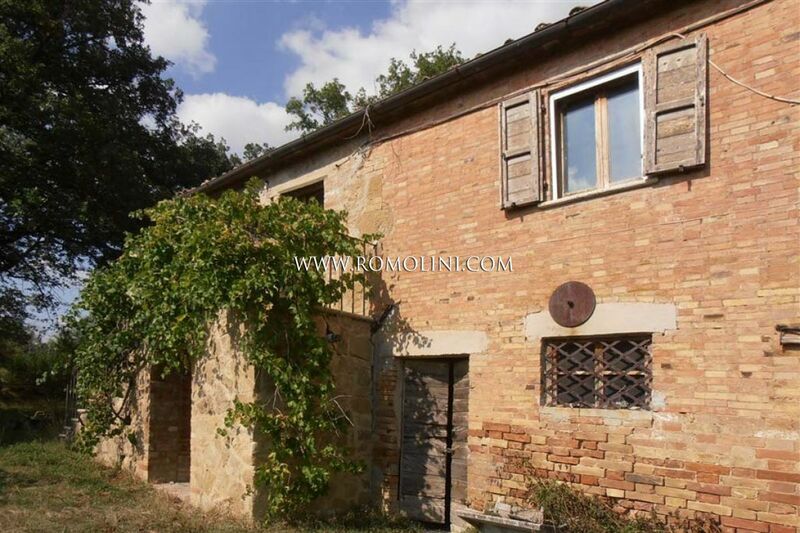 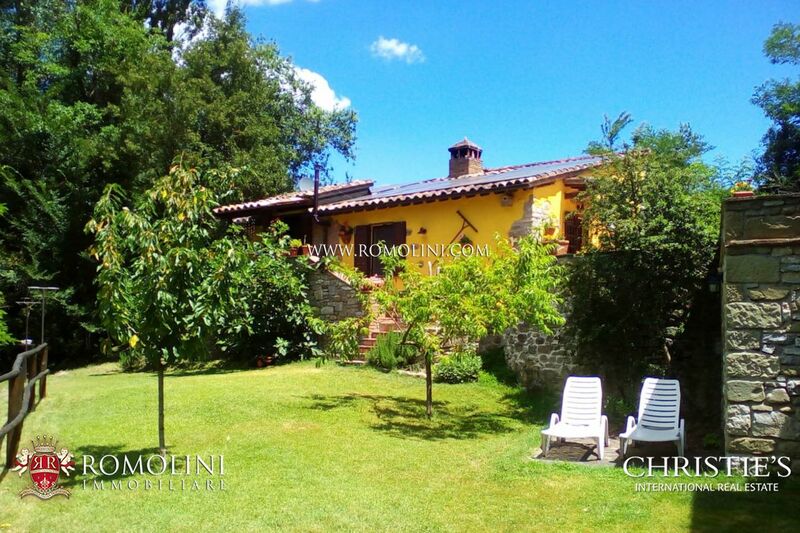 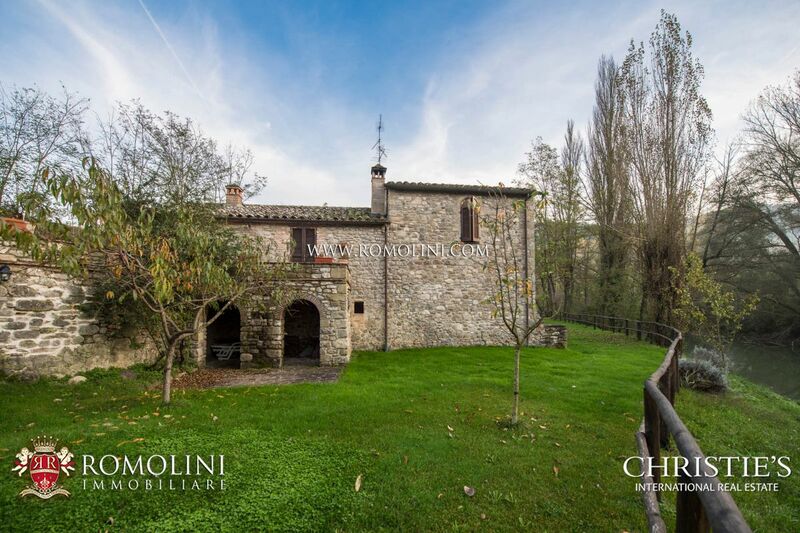 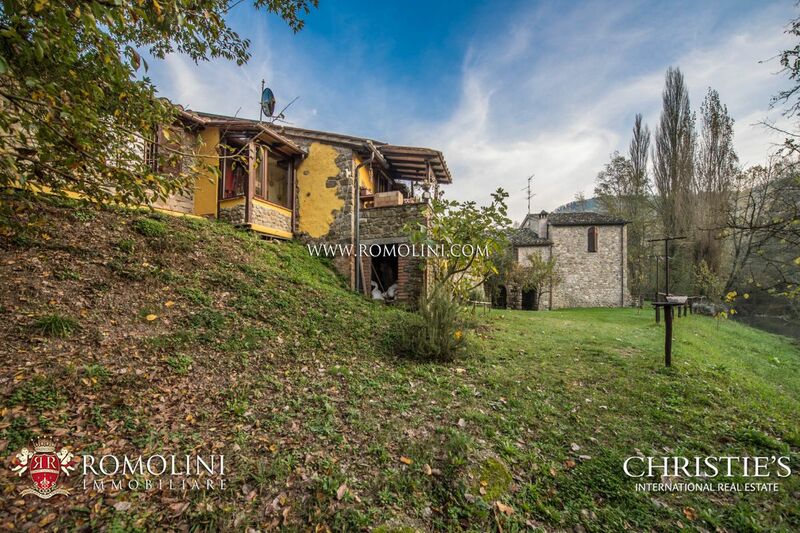 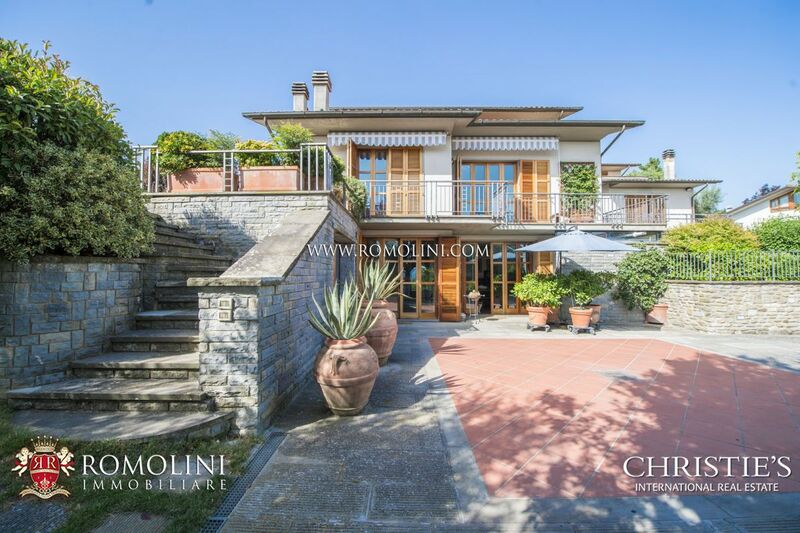 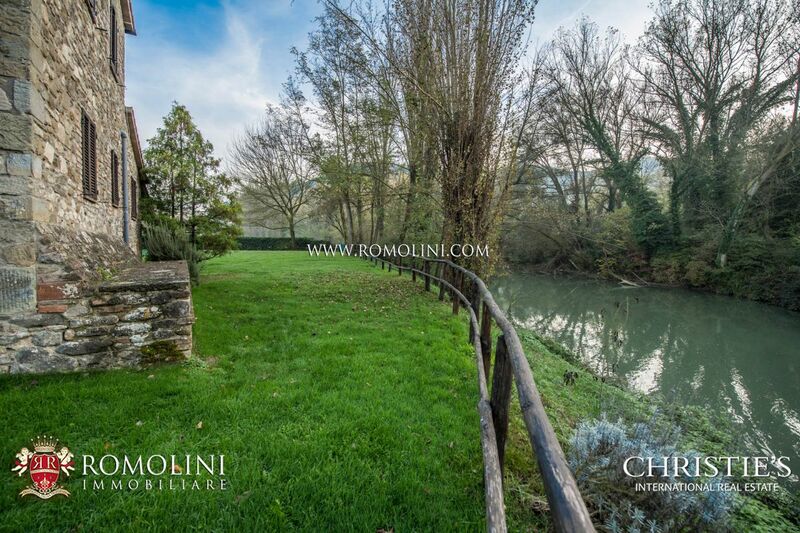 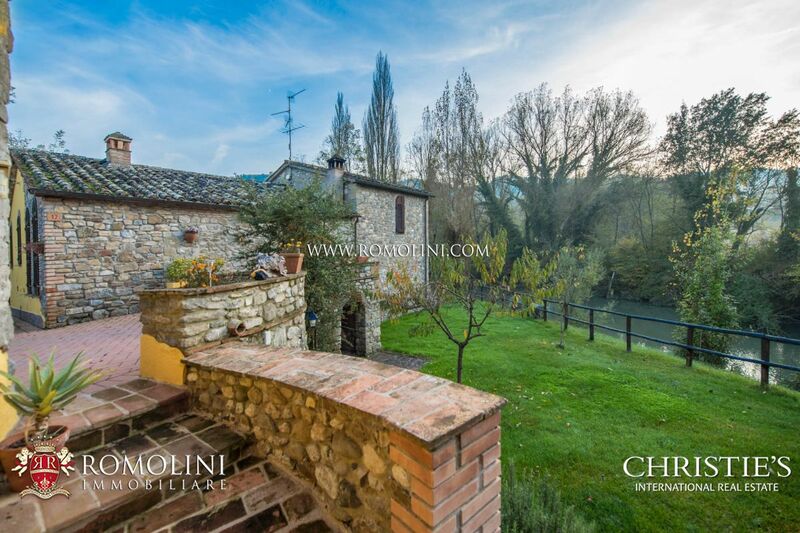 The property is made up of approximately 900 sqm of land, covered in garden and bordering right with the river, flowing not farther than 15 m from the farmhouse. 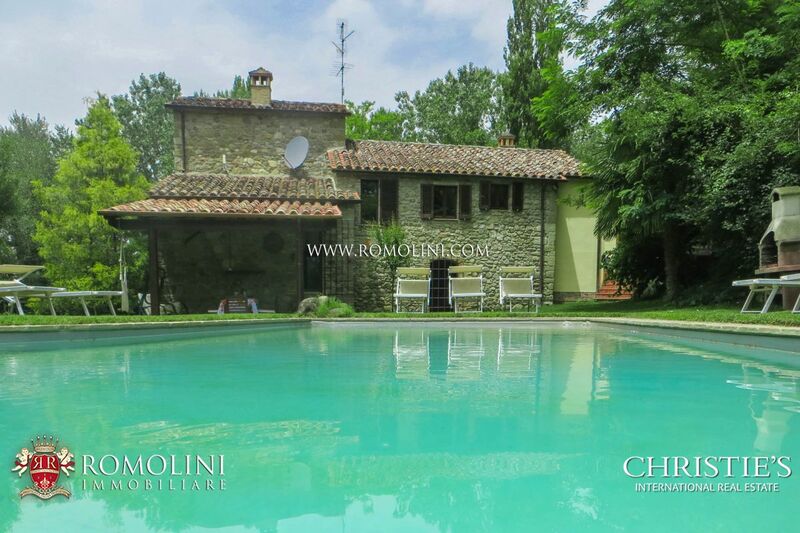 Other than a convenient BBQ, the land also hosts the irregular-shape swimming pool, covering approximately 60 sqm. 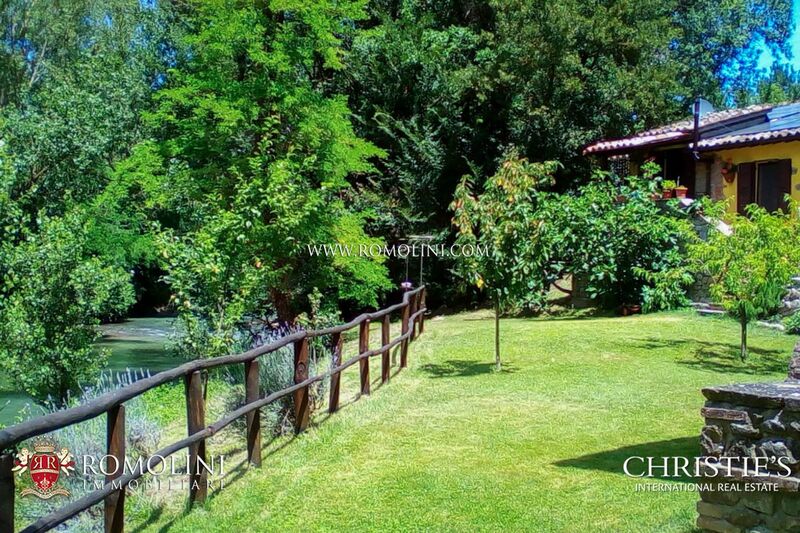 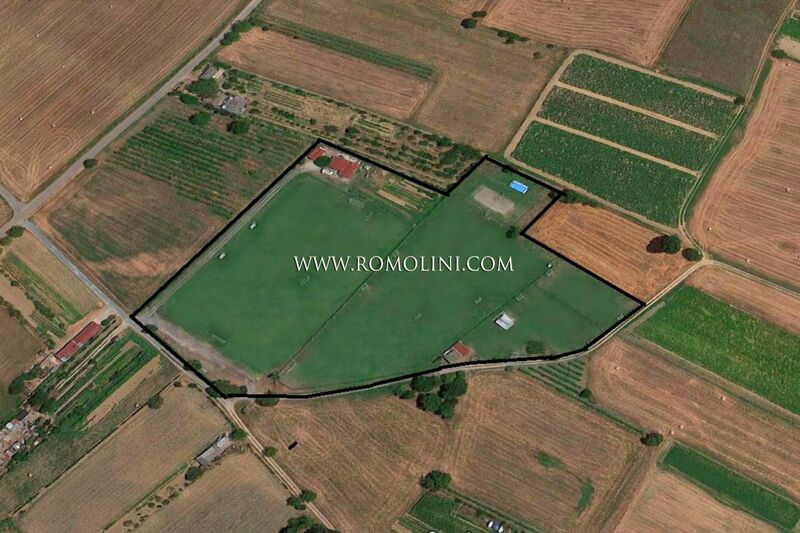 The property is fully fenced with an automatic gate and the garden is served by an automated irrigation system. 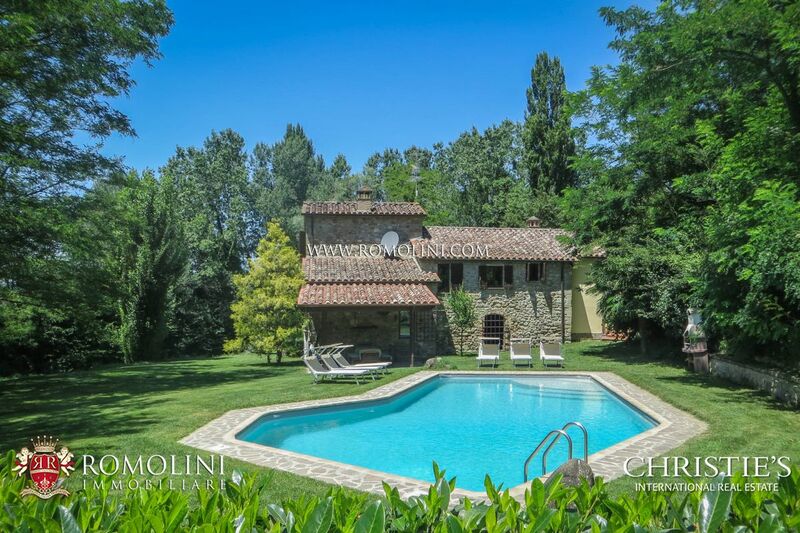 The inner surfaces of the pool and the covering cloth have been replaced in 2017. 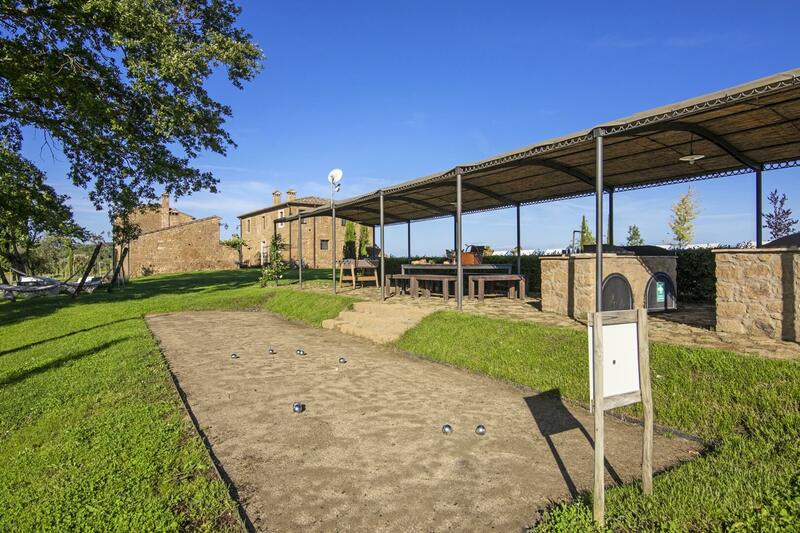 The property, given the good number of bedrooms it can offer, is currently run as an accommodation business (B&B and holiday home) and as such has worked for almost a decade with good results. 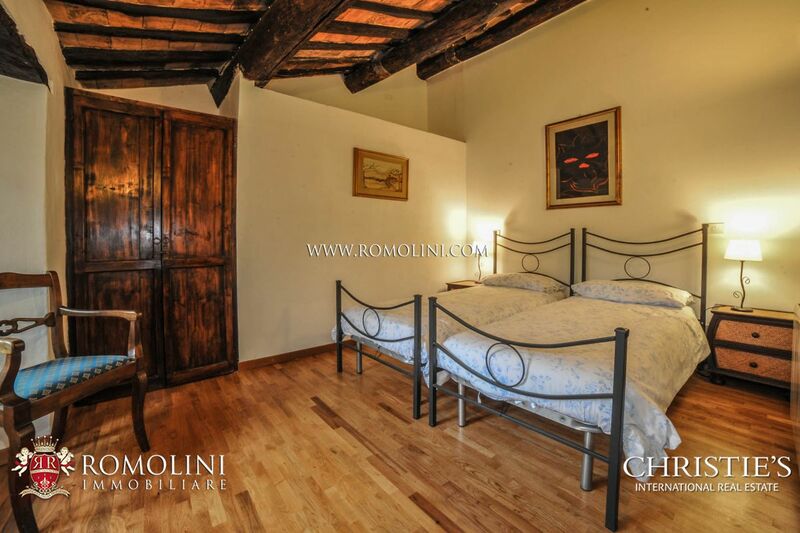 The presence of a guesthouse would allow the owners to live in the property, right in contact with their activity. 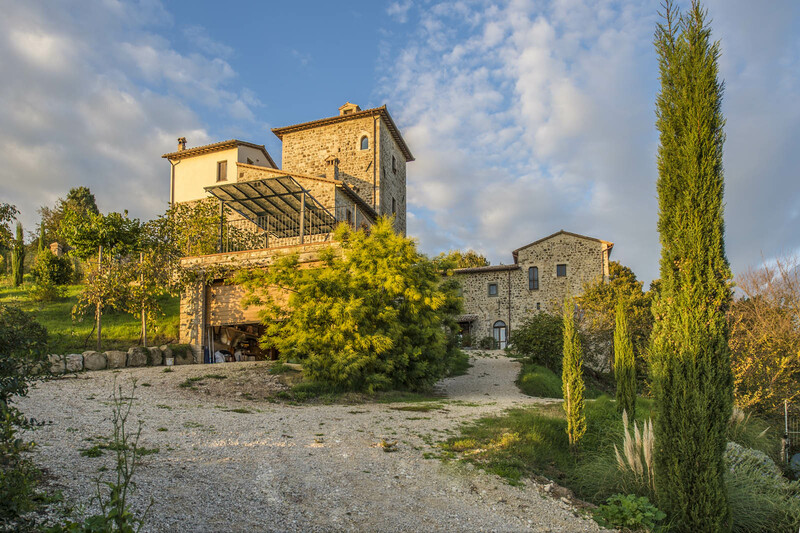 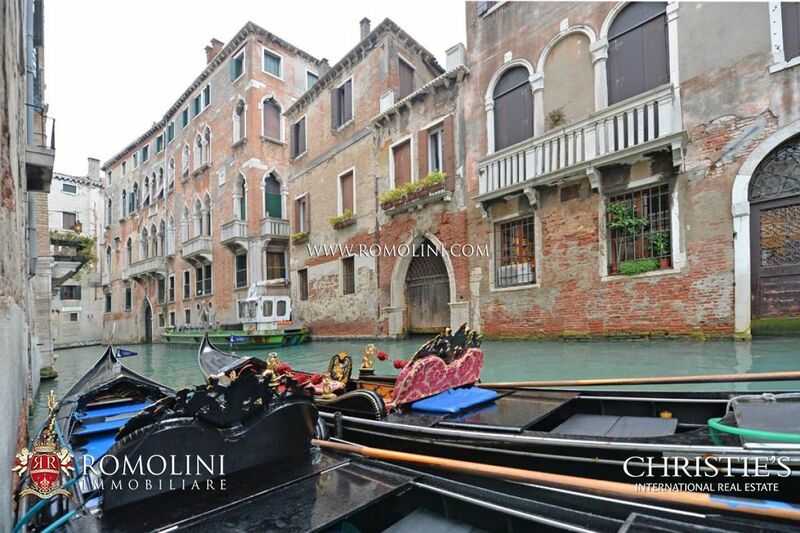 Alternatively, it is always possible to give up the accommodation business, earmarking both the buildings for private residence, with available bedrooms for potential guests. 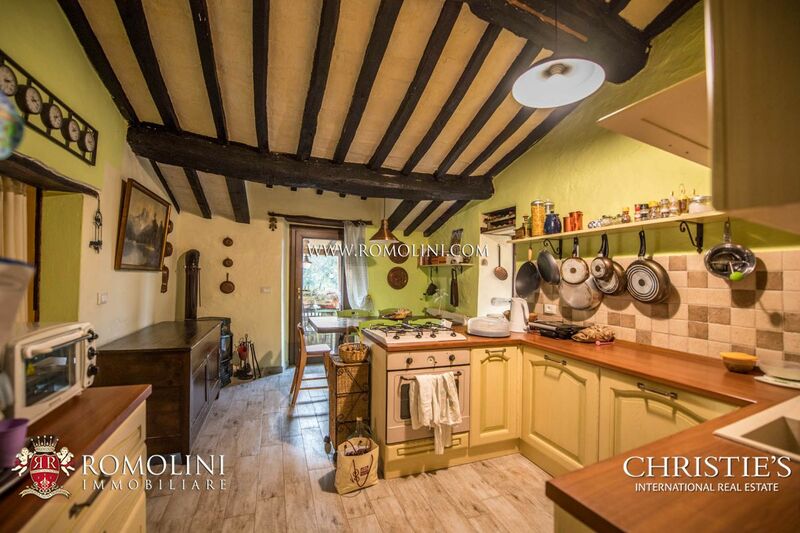 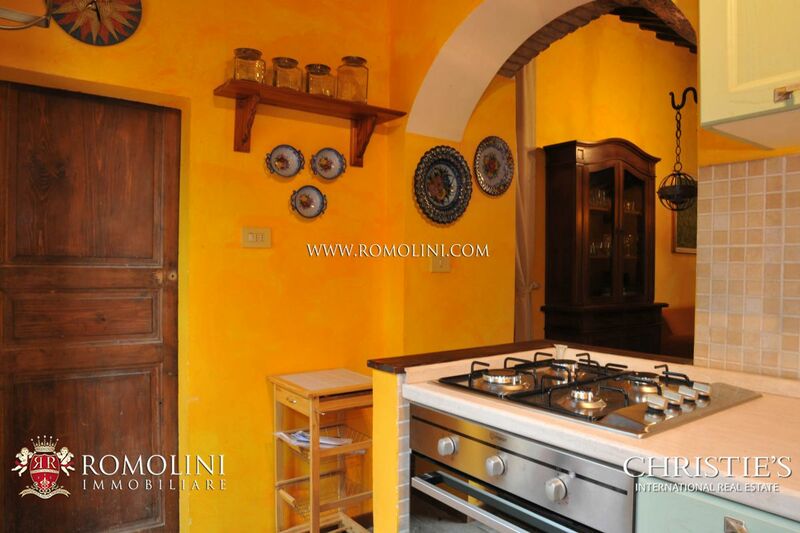 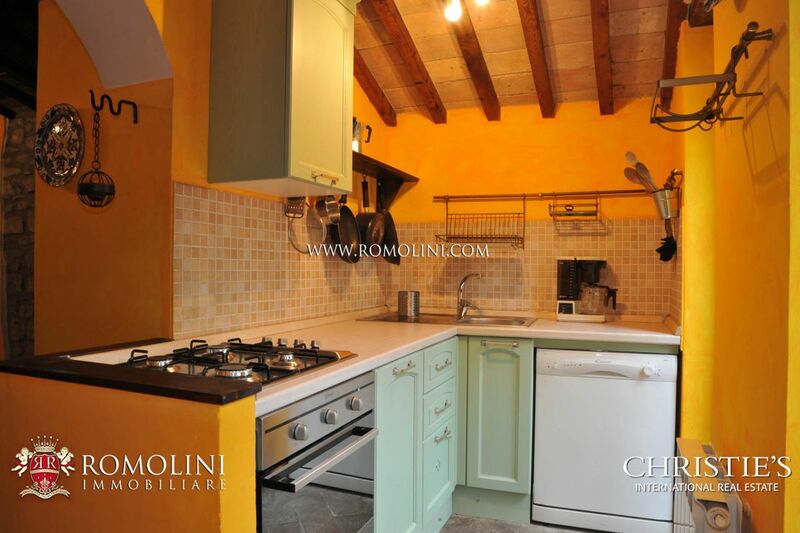 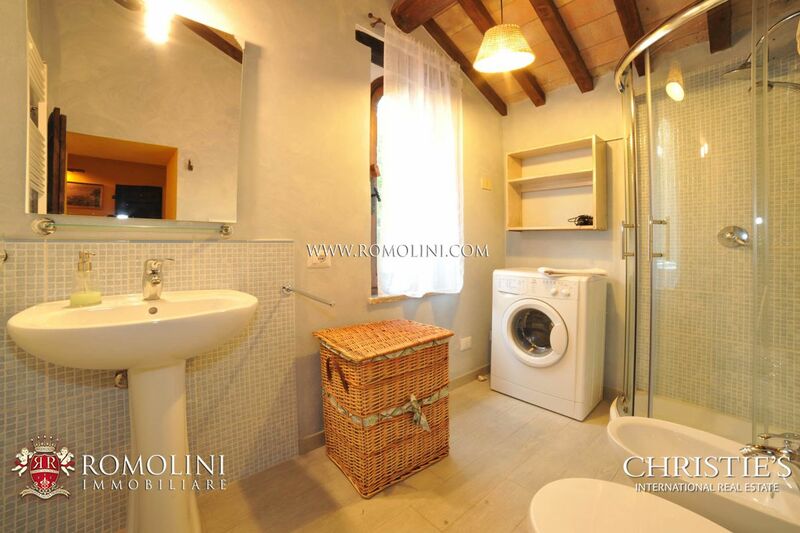 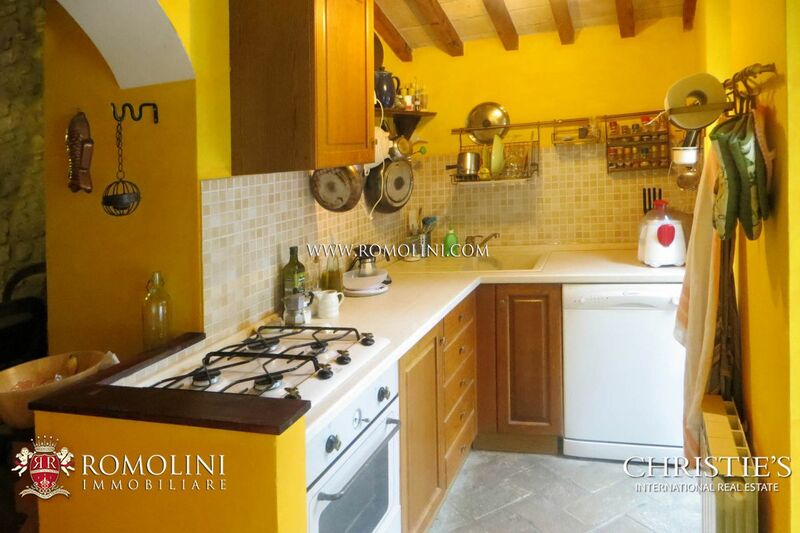 The two kitchens of the houses are included in the selling price.